I can be bashful in front of the camera, but the Hudson Valley in the autumn makes a good backdrop. 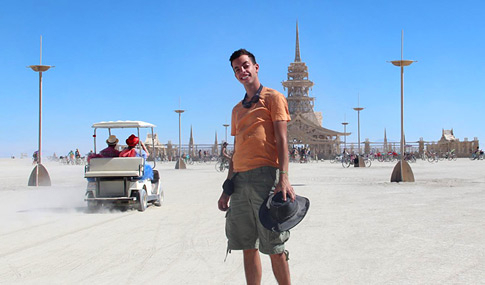 The founders of Google and I have something in common – we love Burning Man. 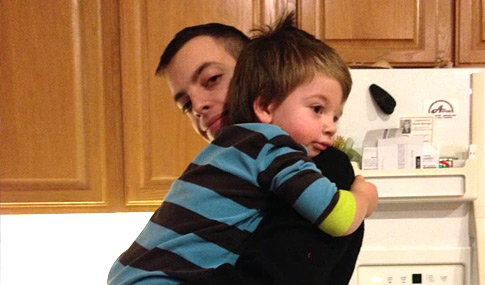 I don't get to see my nephews often enough, but when I do, it's love. On one of my many travels. 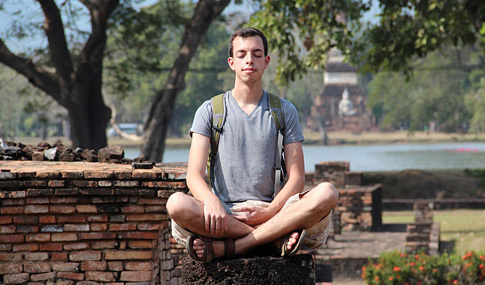 Here I am meditating atop a pillar amongst the ruins of Sukhothai, Thailand. Andrew is the head of technology and product at Great Jakes. What’s that mean? In short, he leads our team of programmers. We often refer to him as a technical strategist because he’s the one that translates marketing strategies into website features that work. If you’re ever browsing a website made by Great Jakes and think to yourself, “Wow, this website sure is quick and responsive,” that would be Andrew’s work. He’s an obsessive optimizer, always poring over performance graphs and usage statistics in search of ways to make every website run smoothly. 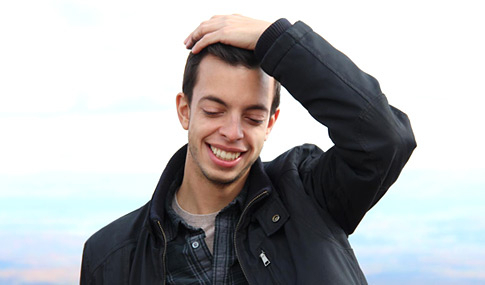 Andrew began his career as a programmer and eventually found himself managing projects for Fortune 500 companies while working for large digital agencies like Digitas and Havas. But being a tiny cog in a huge machine isn’t quite his style — he prefers a more nimble and collaborative environment. That’s why he’s at Great Jakes. Tech isn’t all that Andrew is interested in. A big thinker through and through, he is constantly developing his own side projects. They include websites, community-building projects, and social commentary. If you’re ever in the mood for sporting intellectual debate, Andrew’s always game. He maintains his own blog in which he writes about science, philosophy and human behavior. Andrew also travels frequently (well, as much as his job will allow), and he is an annual participant in the Burning Man festival.